This past Wednesday, November 11, was Veterans Day–honoring all those who have served in the U.S. military–thanking veterans for their service. But is thanking those who have given so much in service to this country enough? According to the Veterans Administration, 22 American veterans commit suicide every single day. Additionally, veterans often suffer high rates of unemployment, alcoholism and substance abuse, homelessness, and PTSD (post-traumatic stress disorder). In their transition to peace, all too many veterans become casualties at home. As a nation we must accept responsibility for the physical and psychological wounds our veterans bring home from war. While pomp and circumstance are good, our veterans need real support at many levels. We all need to do our part to help our veterans return to society rehabilitated and empowered. “Thanks for your service” may not be enough. JOIN Barb and John as they discuss Thanks for Your Service. Joining Amerika Now during the second hour is senior health care executive, consultant, academician and writer John Leifer. 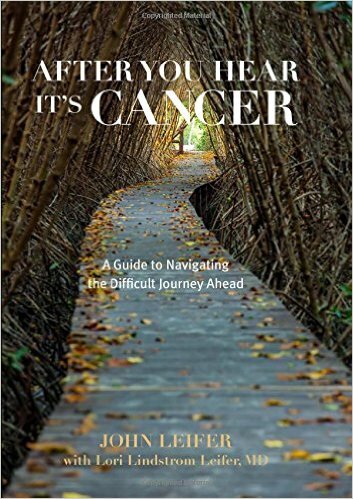 John will be discussing his book, After You Hear It’s Cancer: A Guide to Navigating the Difficult Journey Ahead. Last year, more than 1.6 million Americans were diagnosed with cancer–joining a pool of 13.7 million Americans already living with the disease. Cancer is ubiquitous–in fact, it is estimated that more than 40 percent of all Americans will develop the disease over the course of their lives. Virtually all of us are in some way touched by cancer. Many individuals, when they hear the words “You have cancer,” have little idea of how to traverse the difficult journey ahead. They lack a navigating guide that would help them find the right physicians, understand their medical treatments, and address the emotional, financial and functional burdens imposed by their diagnosis. In After You Hear It’s Cancer, John Leifer and his wife, Dr. Lori Lindstrom Leifer, MD, seek to prepare cancer patients and their families for the journey. The book provides an empathetic, but practical, view of how to move forward when you are paralyzed with fear. Some of the key questions John will discuss include: What are some of the physical and emotional challenges cancer survivors face? ; What happens if you reach a point when the benefits of treatment are overshadowed by your physical decline or reduced quality of life? ; How do you tell your family you don’t want to continue with treatment? ; How do you tell family and friends the end is near? ; and How can you get your spiritual needs met at this difficult time? He’ll also discuss the three main concerns no one talks about when they talk about cancer: finding the right doctors and receiving the most appropriate treatment, managing the financial toll of cancer, and dealing with the emotional trials of cancer. 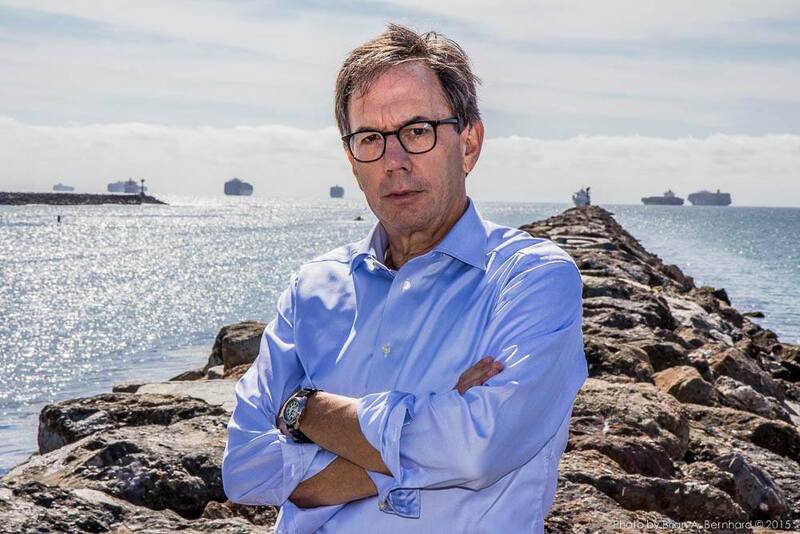 John Leifer has spent more than 30 years seeking to understand and influence the health care industry as a senior health care executive, consultant, academician and writer. An outspoken advocate for patients’ rights, John has published widely on the need for patients to receive appropriate, safe and effective care. He is a frequently cited expert on health policy issues by numerous national publications. In addition to this book, John is the author of The Myths of Modern Medicine: The Alarming Truth About American Health Care. He’s held faculty positions with both the University of Kansas School of Medicine’s Health Policy and Management Program and the University’s William Allen White School of Journalism. In the mid-1980s, John founded and published The Leifer Report, a cutting-edge health care journal. In 2006, he won the Kansas Health Foundation Excellence in Teaching Aware and in 2009, completed a master’s degree in Positive Psychology from the University of Pennsylvania. For more information, visit http://www.afteryouhearitscancer.com. Acclaimed psychiatrist, crisis counselor and bestselling author Mark Goulston, MD, joins the show during the final hour to discuss his recently released book, Talking to Crazy: How to Deal with the Irrational and Impossible People in Your Life. Every one of us, at one point or another, has been forced to deal with crazy. In fact, most of us encounter it on a daily basis, whether it’s a coworker, a disgruntled significant other, or a stranger who’e driving too aggressively on the highway. Yet few of us possess the tools to actually handle the situation well. In his latest book, Talking to Crazy, Mark Goulston reveals the necessary keys to handling others’ craziness while keeping one’s own crazy impulses at bay. According to Goulston, the secret is to lean into it. Mark will discuss his six-step “Sanity Cycle” so you can learn to do just that, stay sane! In addition, he’ll talk about why people act in unreasonable and infuriating ways; how to recognize an irrational person’s M.O. and prepare an effective, calm, rational response; how to use a range of proven techniques for getting through to everyday crazy; eight powerful strategies for curing the frustrating, energy-draining crazy behavior of loved ones; and when it makes sense to try to talk to a crazy-acting person and when it’s saner and safer to simply walk away. **UPDATE: In light of the recent terrorist attacks in Paris, Mark will also discuss the psychology and psyche of terrorists. 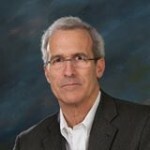 Mark Goulston, MD, is a nationally-acclaimed psychiatrist, crisis counselor, and business consultant. He’s the author of Just Listen, Get Out of Your Own Way, and other popular books. In addition, he blogs for Harvard Business Review, Fast Company, Business Insider, Huffington Post, and Psychology Today; co-hosts a weekly radio show; and is featured frequently in major media, including The Wall Street Journal, Fortune, Newsweek, Time, CNN, Fox News, and the TODAY show. He has also trained hostage negotiators for the FBI. For more information, visit http://www.goulstongroup.com.